Home Review Empirehotels "Easiery For Book a Room, Check-in/Check-out"
Along with the development of the digital world, is including in the cryptocurrency industry, make many company compete creating unique, innovative and creative concepts. Included in the field of lodging (Hotel), as Empirehotels. Empirehotels is the ultimate platform for users to book both rooms and experiences across the globe. Empirehotels platform provides an easy way to check-in/check-out and is fully prepared for the future of room automation. • Simple, easy, and fun. Users can browse for hotels and experiences nearby. They can place bookings using both fiat and Empirecash our digital asset. 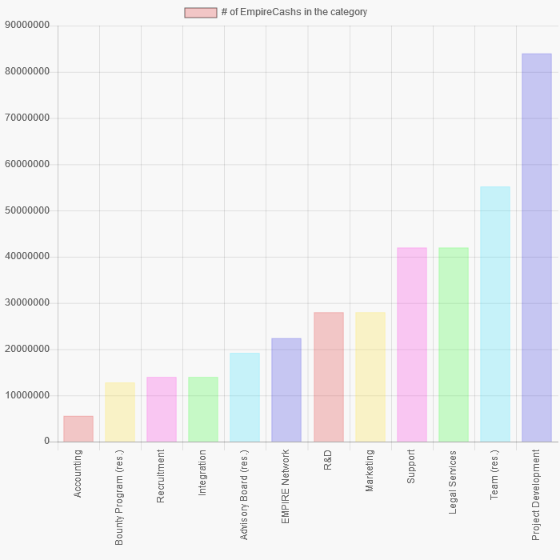 Even though there are no fees for the registration, a small fee the smallest on the market is added to each transaction in order to make the platform viable. Affordable fees for owners; lower prices for users. Empirehotels was first developed in November 2017, with the First Draft Idea. The first idea for the app and the platform was designed. Even though this idea has changed over time, it was in November 2017 that team first discussed the development of this project. And in March 2018 they start development Smart Contract Design. The smart-contract development and audit is a crucial stage in the process of an ICO. During this stage, the crypto-economics, figures, and supply were defined. 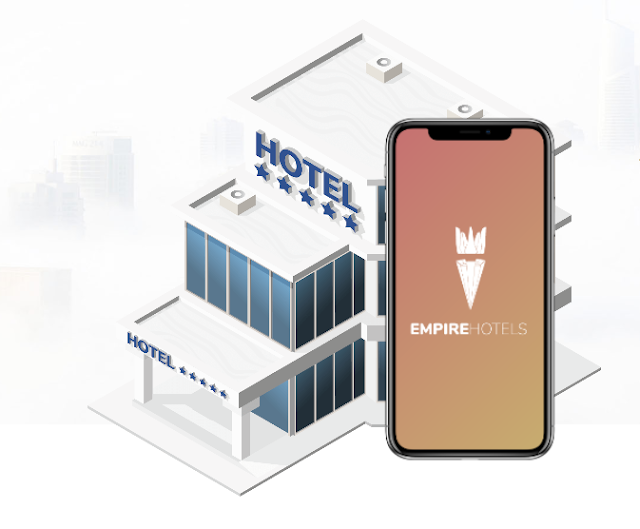 Empirehotels is creating a mobile app which offers features such as checking in and out, spending bill updates, room temperature control, hot-tub heating and more – with the aim of increasing efficiency in spite of cultural or language differences. Empirehotels developers took care of every little step during the app development process. The team want to give the best experience to our users. focused blockchain based currency & a decentralized economy. Empirehotels presence received positive attention, by forming this partner, this could help improve Empirehotels rating.